The Acute Respiratory Failure (ARF) section is led by Jordi Mancebo and Luigi Camporota. 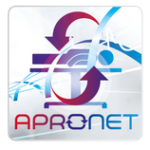 APRONET is a ONE-day prevalence study initiated by the ESICM Acute Respiratory Failure Section (ARF), which will be repeated four times during a one year period. It is a multicentre observational prospective study with no patient follow-up. 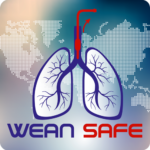 Prone position is used in almost 14% of severe ARDS patients according to the results of the LUNG-SAFE study. This rate is rather low given the results of the most recent trial that showed a beneficial effect of proning on patient outcome, a finding which is in line with previous meta-analyses. The reasons why the use of proning is still limited are unclear. WorldwidE AssessmeNt of Separation of pAtients From ventilatory assistancE is a multi-centre, prospective, observational, 4-week inception cohort study being carried out by the Acute Respiratory Failure section of ESICM. Weaning represents a challenge for intensivists and patients spend a considerable amount of time in being liberated from mechanical ventilation. While guidelines do exist on the classification of weaning, a recent study has shown that these may not be applicable to all patients. This study will assess changes in pH/ PaO2 /PaCO2, Respiratory Rate and device CO2 clearance in the first 24 hours of ECCO2R following VT and plateau pressure reduction in patients with moderate ARDS. Safety variables during treatment will also be analysed. Large observational study to UNderstand the Global impact of Severe Acute respiratory FailurE is a multicentre, prospective, observational, 4-week inception cohort study, which has been carried out by the Acute Respiratory Failure section through the ESICM Trials Group. The study aimed to prospectively assess the burden of, management and therapeutic approaches to, and outcomes from acute hypoxaemic respiratory failure requiring ventilatory support, with a specific focus on ARDS as defined by the Berlin Definition. Sakr et al. The Intensive Care Global Study on Severe Acute Respiratory Infection (IC-GLOSSARI): a multicenter, multinational, 14-day inception cohort study. This project, initiated by the ESICM PLUG (Pleural Pressure) Working Group, is an observational multicentre physiological study that will be conducted in several ICUs in different countries. TrainECMO Survey on packed red blood cells transfusion practice in vv-Ecmo patients. Mortality associated with Acute Respiratory Distress Syndrome (ARDS) remains high, despite continual improvement in mechanical ventilation and extracorporeal membrane oxygenation (ECMO). Technical simplifications, and its use during the 2009 H1N1 influenza pandemic, prompted a sharp increase in the use of ECMO worldwide. To evaluate the most common practice on tracheostomy and to build a snapshot about tracheostomy techniques and finally to underline the differences among European countries on this topic. CHANGE IT! State of the art on paediatric and neonatal lung/heart transplantation in Europe. This survey from the ESPNIC Respiratory Section and endorsed by ESICM. The survey aims to assess the current state of paediatric (<12 m old) and neonatal lung (or heart/lung) transplantation including physicians’ awareness knowledge across Europe. Claude Guérin et al. A prospective international observational prevalence study on prone positioning of ARDS patients: the APRONET (ARDS Prone Position Network) study. Alain Combes et al. The ICM research agenda on extracorporeal life support. Samir Jaber et al. The intensive care medicine research agenda for airways, invasive and noninvasive mechanical ventilation. Cambiaghi B et al. Effects of regional perfusion block in healthy and injured lungs. Fan E et al. Clinical Practice Guideline: Mechanical Ventilation in Adult Patients with Acute Respiratory Distress Syndrome. High Flow Nasal Cannula (HFNC) versus nasal continuous positive airway pressure (nCPAP) for the initial respiratory management of acute viral bronchiolitis in young infants: a multi-centre randomised controlled trial (TRAMONTANE study). Assessment of heart rate, acidosis, consciousness, oxygenation, and respiratory rate to predict non-invasive ventilation failure in hypoxemic patients. Diaphragm weakness in the ICU: What do we know? Headspace analysis of airway fluid samples for the prediction of ventilator-acquired pneumonia. >> The volatile metabolic fingerprint of ventilator-associated pneumonia. Haemodynamic effect of lung function optimisation in Acute Respiratory Distress Syndrome (HEARDS). >>The Open Lung Approach Improves Pulmonary Vascular Mechanics in an Experimental Model of Acute Respiratory Distress Syndrome. >> Ultrasound evaluation of diaphragm function in mechanically ventilated patients: comparison to phrenic stimulation and prognostic implications. Claude Guerin discusses the APRONET study on prone positioning in ARDS patients. In this icTV interview, John Laffey and Giacomo Bellani discuss the ESICM Trials Group international study on weaning strategies in mechanically ventilated intensive care patients. ECLAIR STUDY: Avoiding invasive MV with ECCO2R? The feasibility and safety of avoiding invasive mechanical ventilation (IMV) by using extracorporeal CO2 removal (ECCO2R) in ICU patients is explored in this short video summary from ICM.